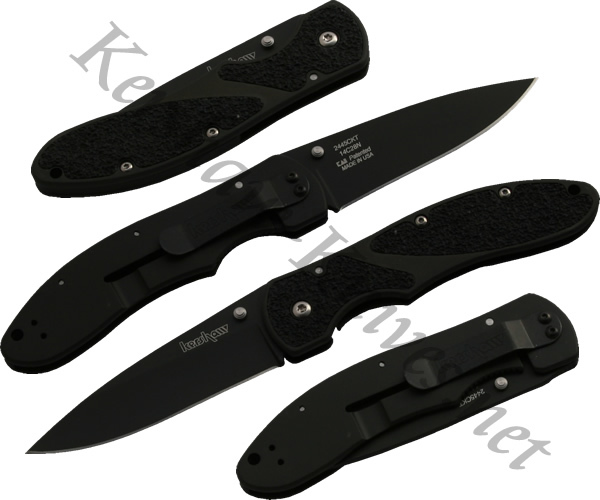 The Kershaw Barrage model 2445CKT has a black DCL coated Sandvik 14C28N blade and a black stainless steel handle with Trac-Tec inserts. The blade is opened with ambidextrous thumbstuds and released with the frame lock integrated into the handle. The Kershaw Barrage is MADE IN THE USA.